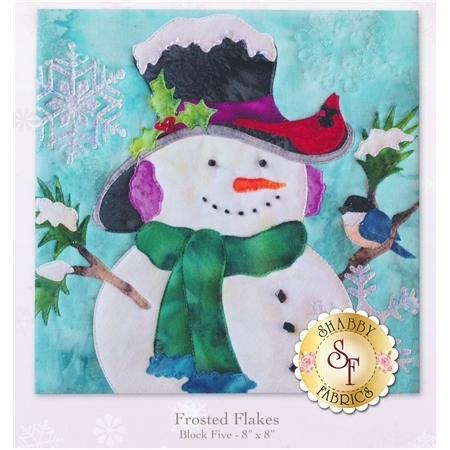 Snow Buds - Frosted Flakes is the block 5 pattern of the Snow Buds quilt by McKenna Ryan. This quilt block features an adorable snowman in his cozy hat and scarf with his bird companions! Finished quilt block measures 8" X 8". Add the Frosted Flakes embellishing kit below to finish this block!